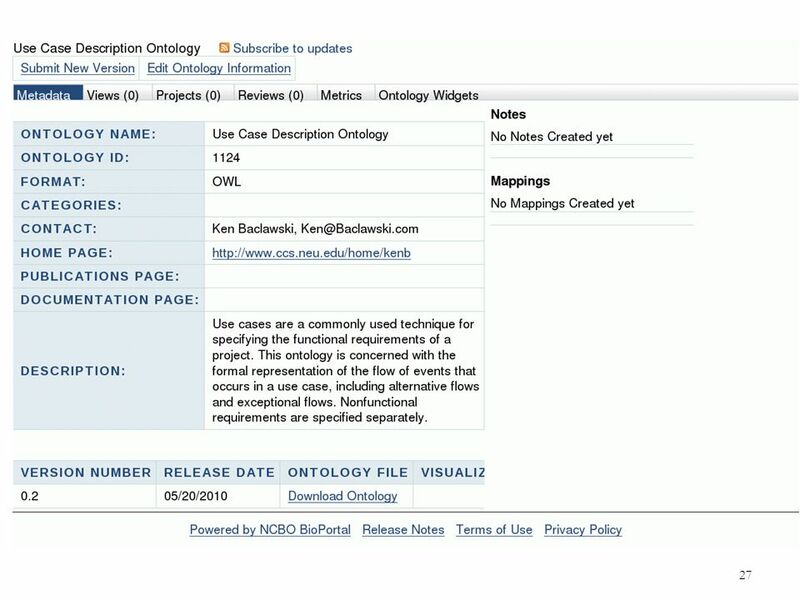 Open Ontology Repository Ken Baclawski College of Computer and Information Science Northeastern University. 3 3 Why? 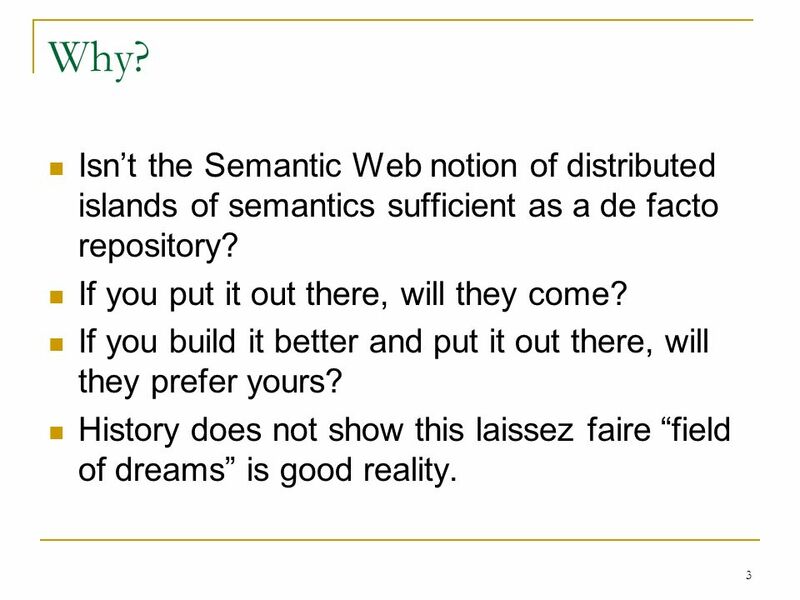 Isnt the Semantic Web notion of distributed islands of semantics sufficient as a de facto repository? If you put it out there, will they come? If you build it better and put it out there, will they prefer yours? History does not show this laissez faire field of dreams is good reality. 4 4 Okay, but why a new infrastructure? The Clickable Web The clickable web has been very successful in employing a lazy strategy for HTML documents. However the use and content of the Semantic Web has different characteristics that make it far less tolerant of: change frequent errors which are commonplace on the clickable web. 5 5 Okay, but why a new infrastructure? Distributed Data Sets This is also true for increasingly large and complex data sets. Generally impossible to judge integrity of data without access to metadata. Increasingly important over time. Metadata standards are important. 6 6 SemWeb Distinguishing Characteristics Machines rather than humans are the primary consumers of content. Errors that a human may be able to diagnose and fix (such as a change in location of a document) are likely fatal for machine processing. 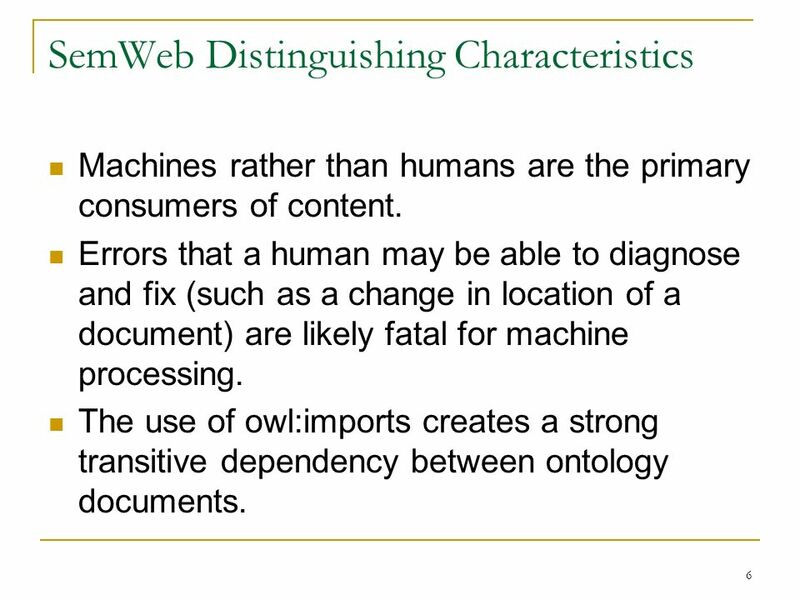 The use of owl:imports creates a strong transitive dependency between ontology documents. 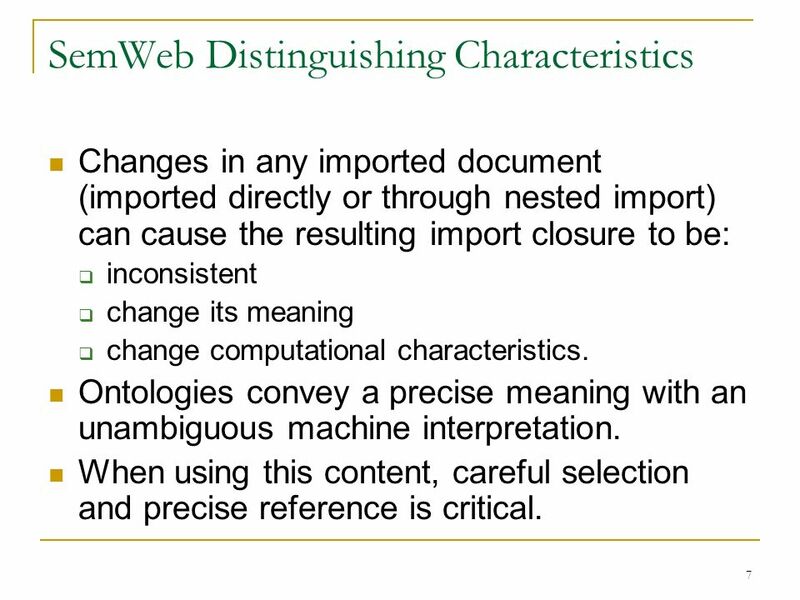 7 7 SemWeb Distinguishing Characteristics Changes in any imported document (imported directly or through nested import) can cause the resulting import closure to be: inconsistent change its meaning change computational characteristics. 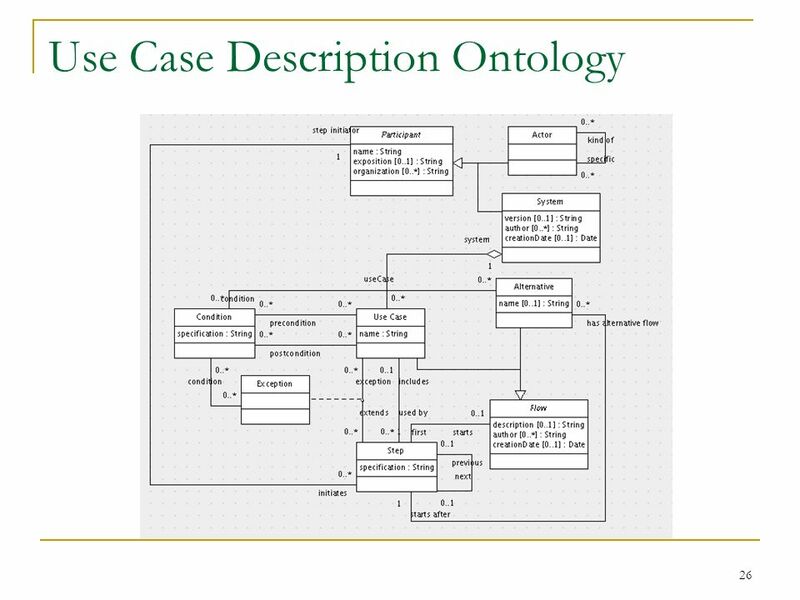 Ontologies convey a precise meaning with an unambiguous machine interpretation. When using this content, careful selection and precise reference is critical. 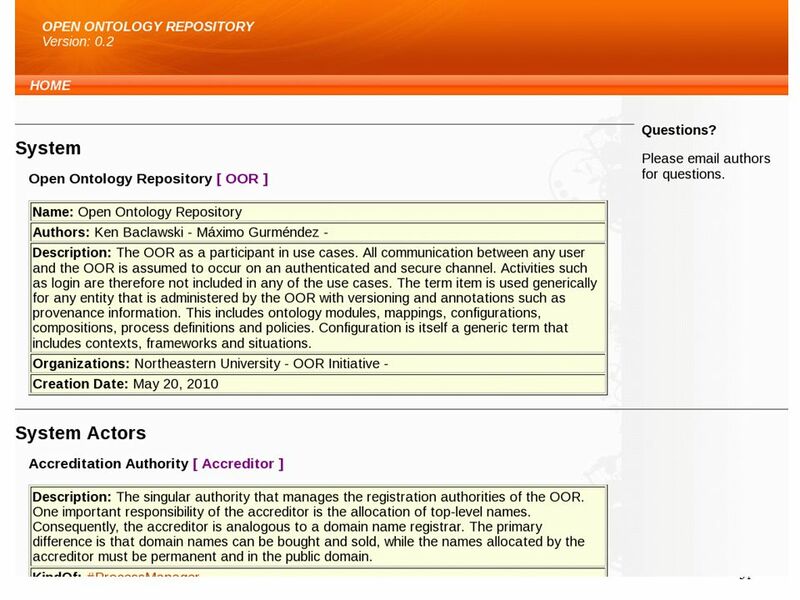 8 8 Open Ontology Repository "An ontology repository is a facility where ontologies and related information artifacts can be stored, retrieved and managed The registry The persistent store Value-added services: Ontology sharing, searching, management, etc. 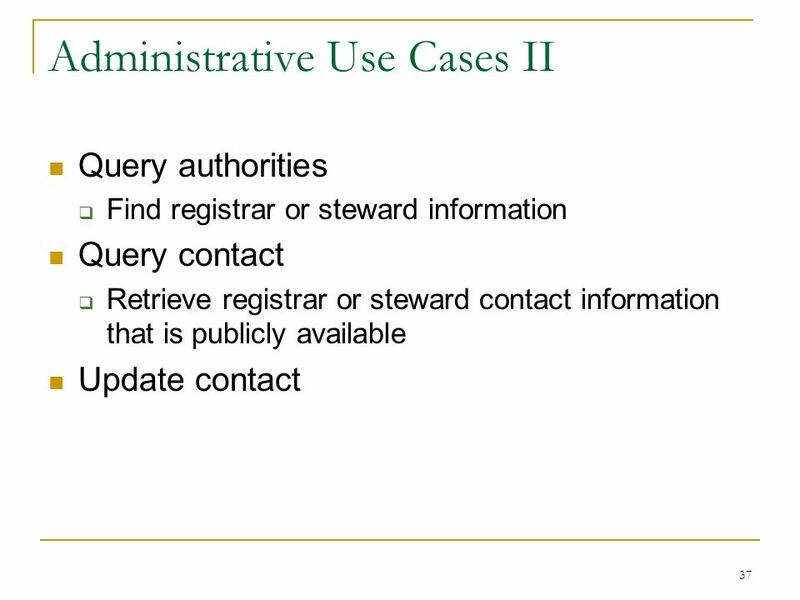 Linkage to databases, XML Schemas, documents, etc. Reasoning capabilities. 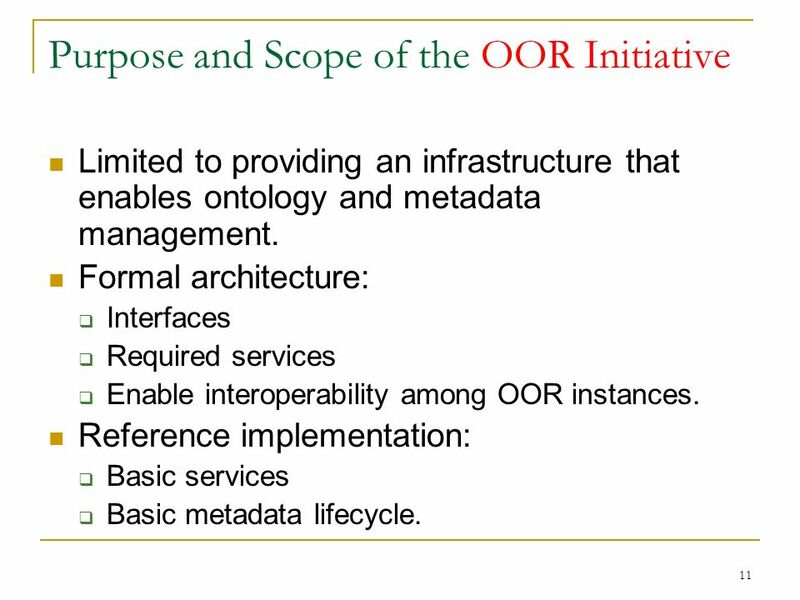 11 11 Purpose and Scope of the OOR Initiative Limited to providing an infrastructure that enables ontology and metadata management. 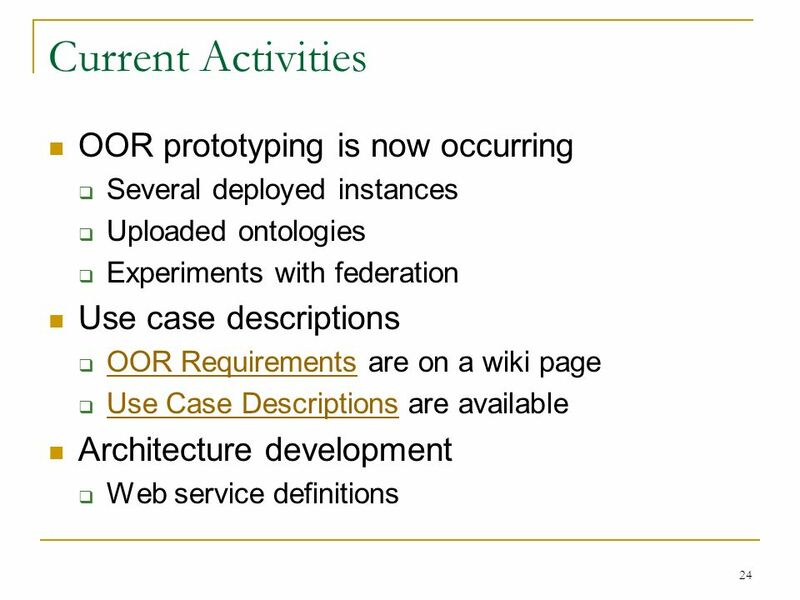 Formal architecture: Interfaces Required services Enable interoperability among OOR instances. 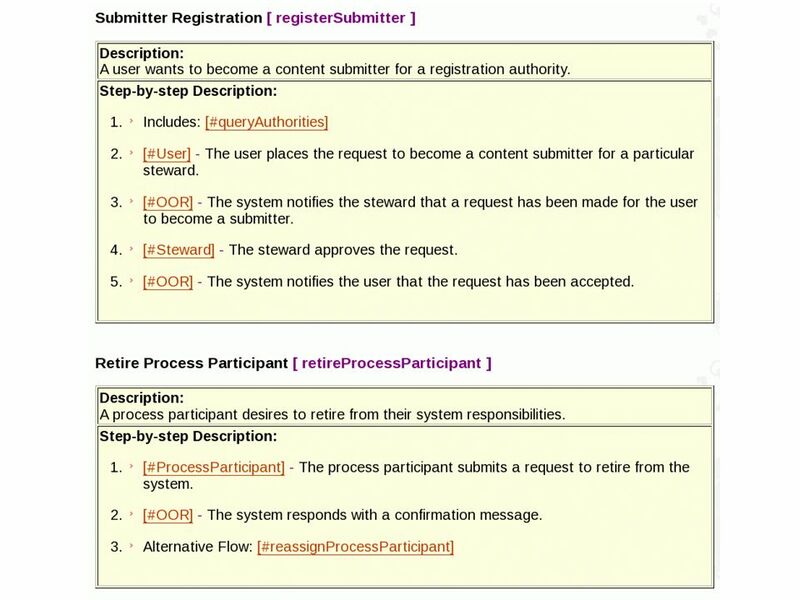 Reference implementation: Basic services Basic metadata lifecycle. 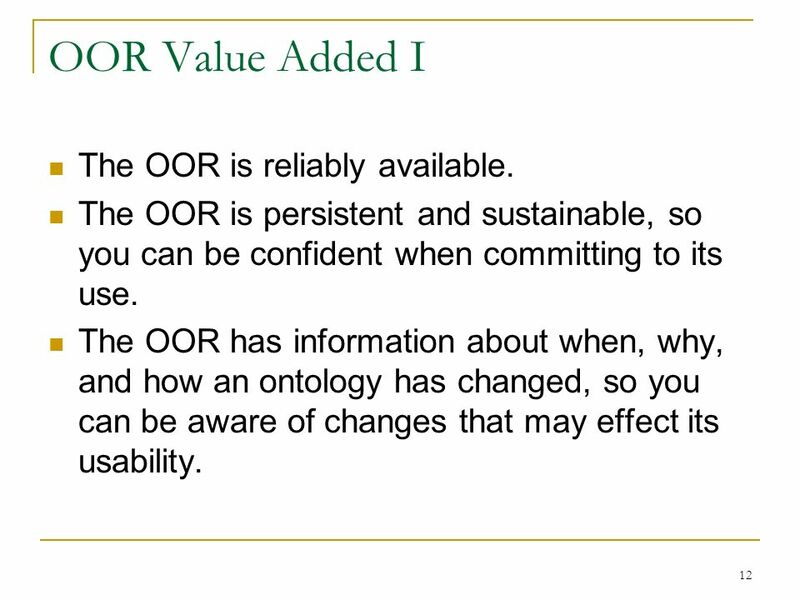 12 12 OOR Value Added I The OOR is reliably available. The OOR is persistent and sustainable, so you can be confident when committing to its use. 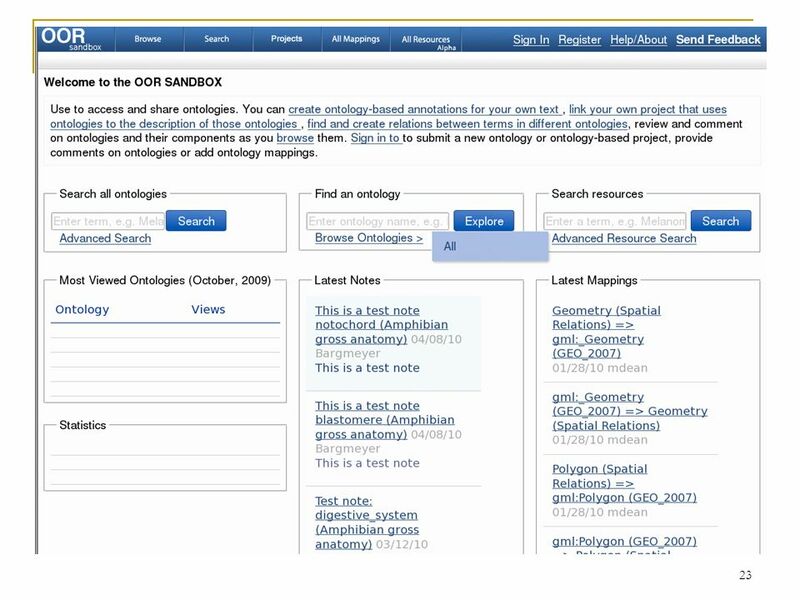 The OOR has information about when, why, and how an ontology has changed, so you can be aware of changes that may effect its usability. 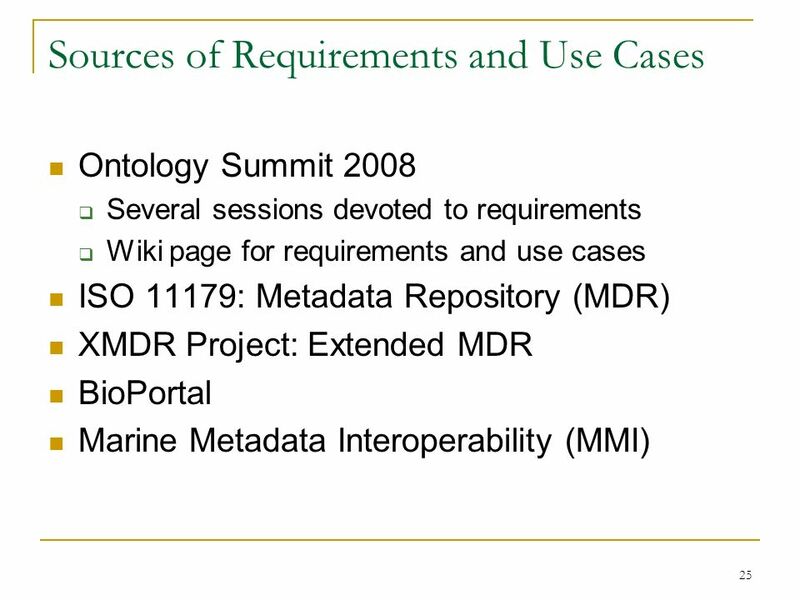 13 13 OOR Value Added II You can find ontologies and metadata easily. 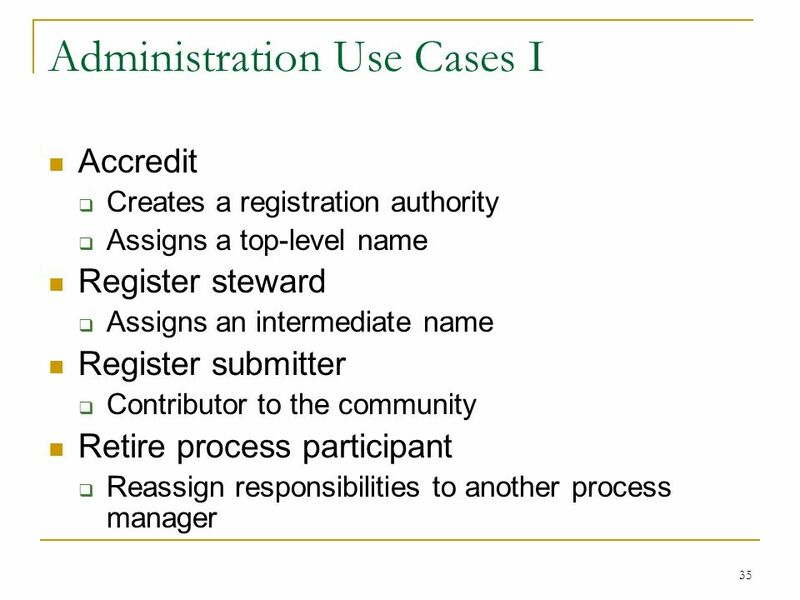 Ontologies and metadata are registered, so you know who built them. 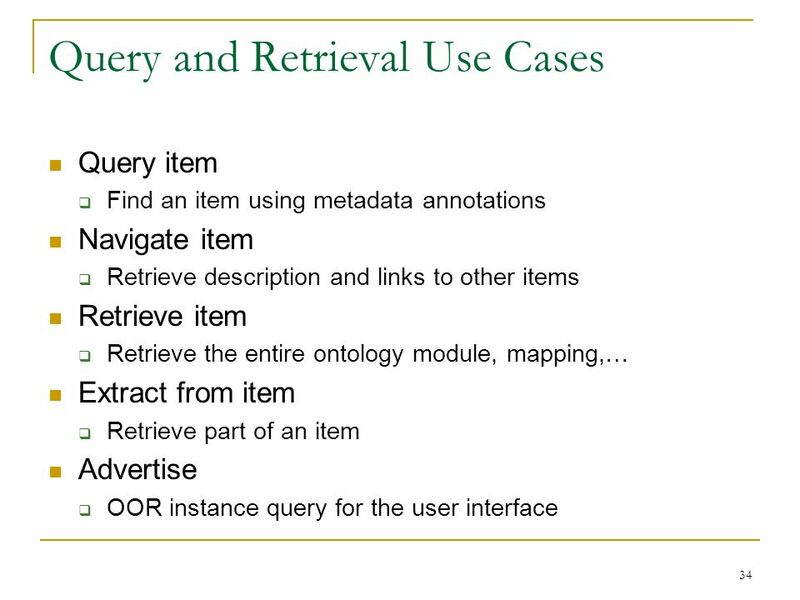 Metadata provides the ontology purpose, KR language, user group, content subject area, etc. 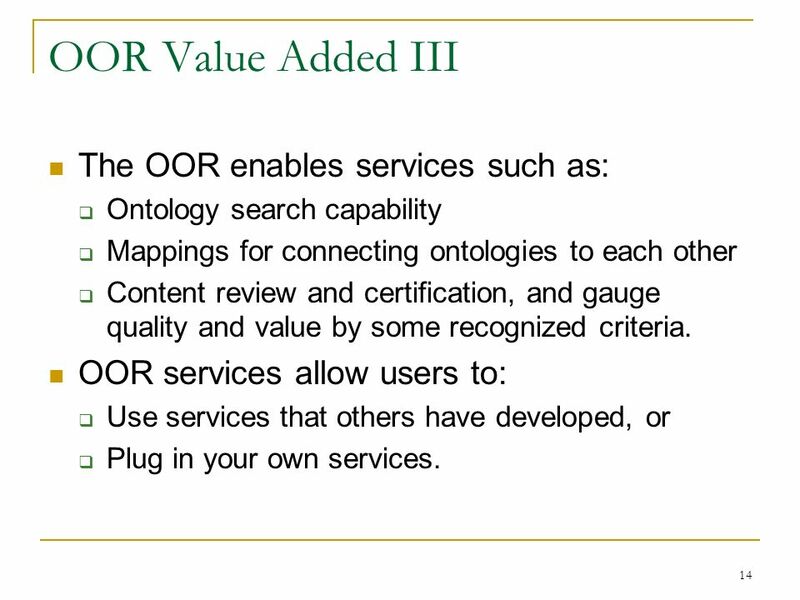 14 14 OOR Value Added III The OOR enables services such as: Ontology search capability Mappings for connecting ontologies to each other Content review and certification, and gauge quality and value by some recognized criteria. OOR services allow users to: Use services that others have developed, or Plug in your own services. 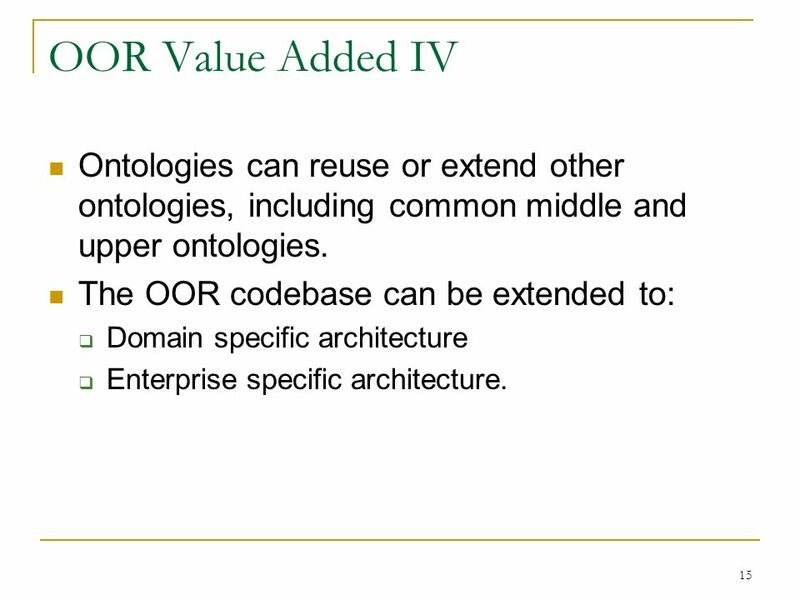 15 15 OOR Value Added IV Ontologies can reuse or extend other ontologies, including common middle and upper ontologies. 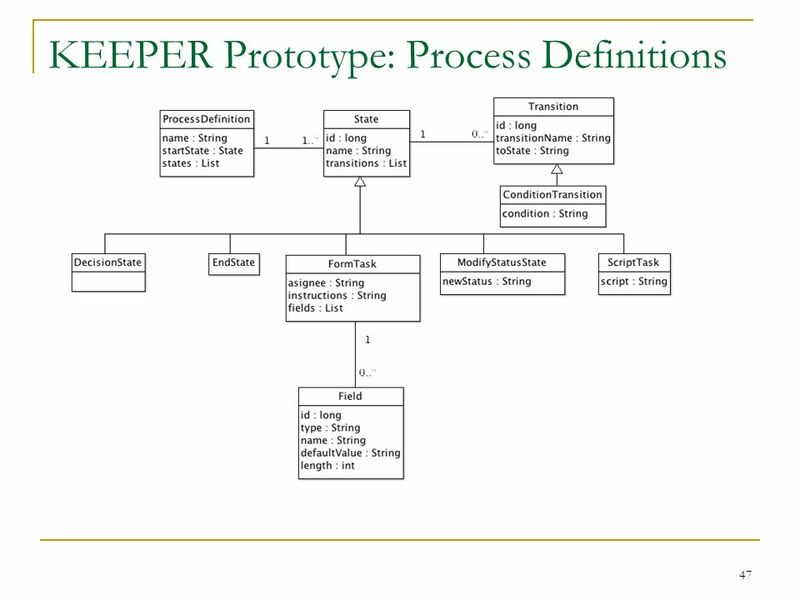 The OOR codebase can be extended to: Domain specific architecture Enterprise specific architecture. 16 16 Top Requirements 1. 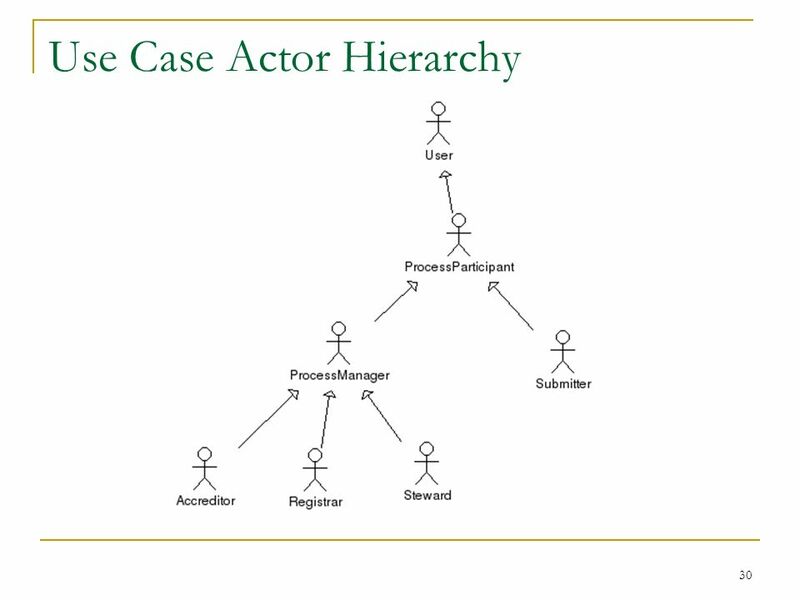 Scalable repository architecture. 2. Optimized for sharing, collaboration, and reuse. 3. 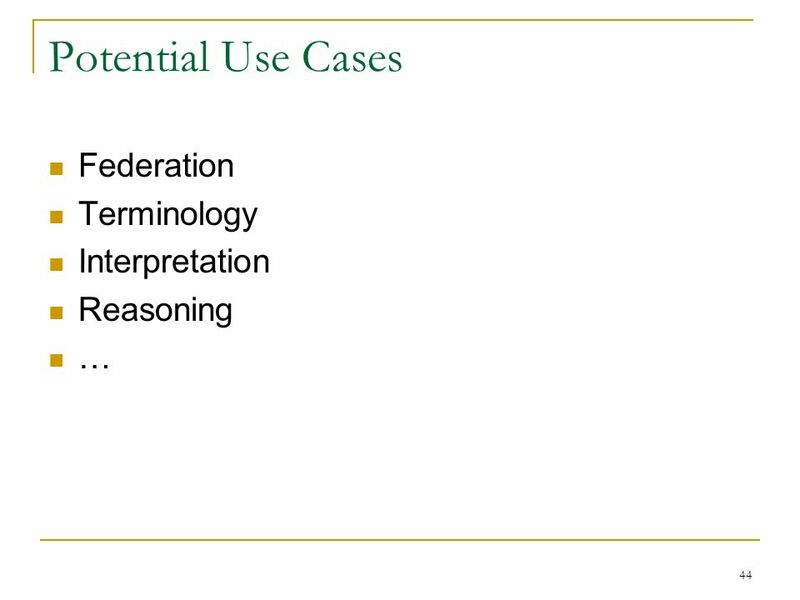 Support for multiple formats, languages and levels of formalisms. 4. 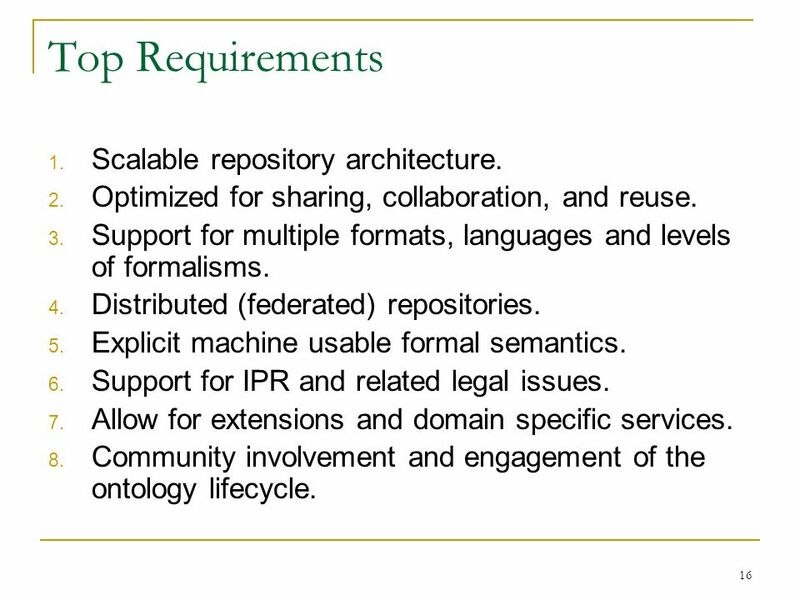 Distributed (federated) repositories. 5. Explicit machine usable formal semantics. 6. Support for IPR and related legal issues. 7. Allow for extensions and domain specific services. 8. Community involvement and engagement of the ontology lifecycle. 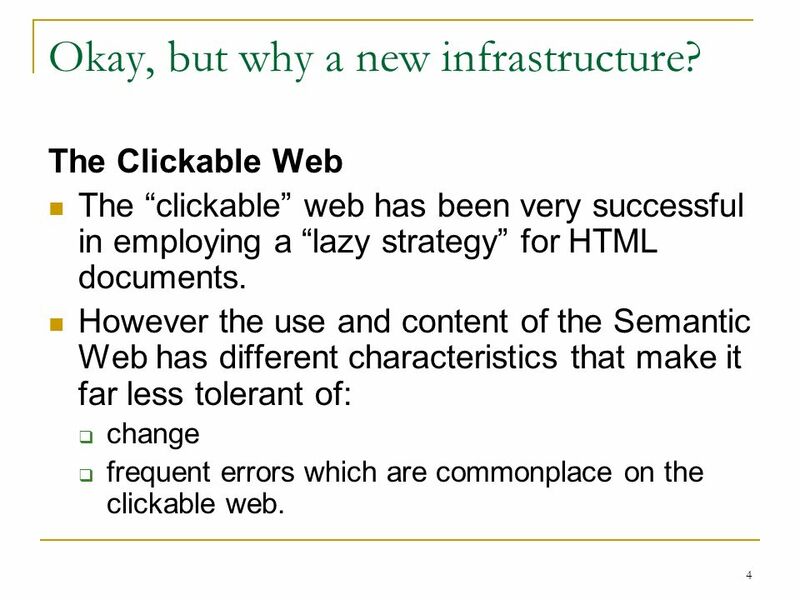 17 17 Challenges: Basic Inadequacies of the clickable web as a basis for the Semantic Web: Need long-term maintenance rather than ontologies maintained in authors web site. Varying levels of coverage Intellectual property concerns. 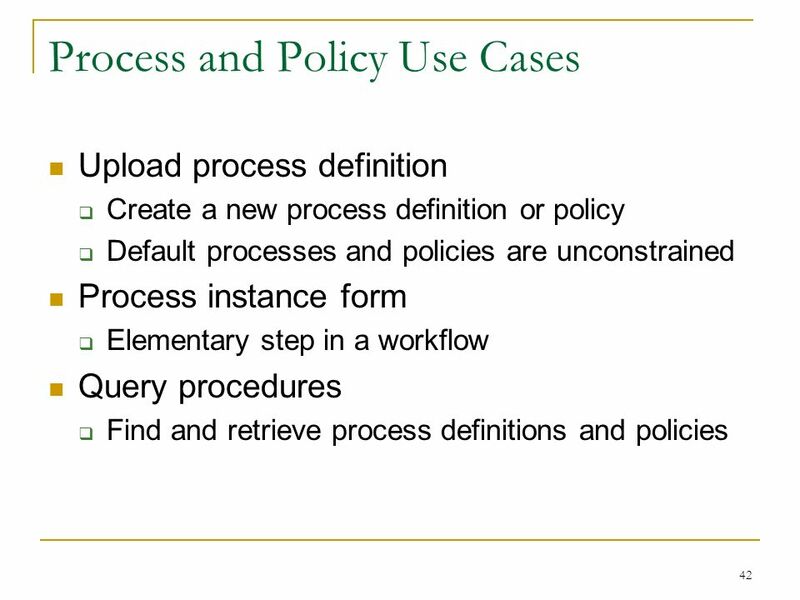 Best practices: Policies and procedures Provenance to enable trust. 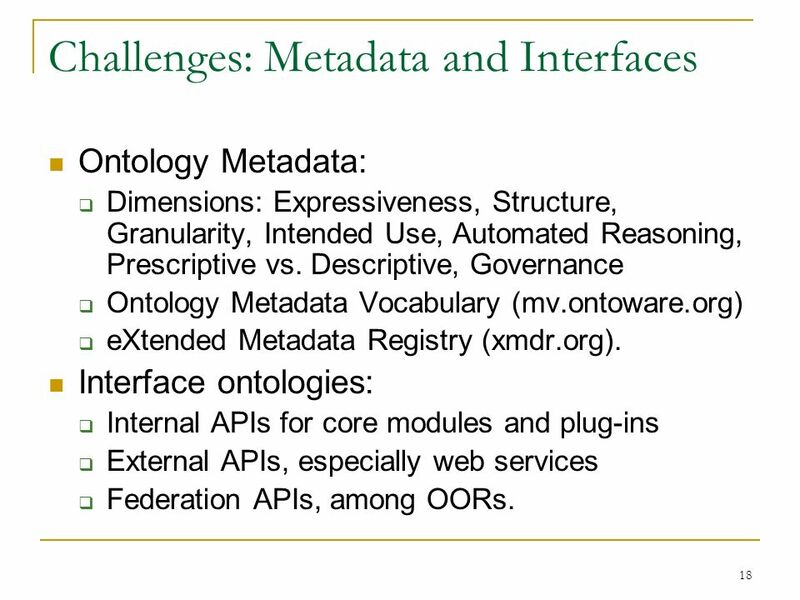 18 18 Challenges: Metadata and Interfaces Ontology Metadata: Dimensions: Expressiveness, Structure, Granularity, Intended Use, Automated Reasoning, Prescriptive vs. Descriptive, Governance Ontology Metadata Vocabulary (mv.ontoware.org) eXtended Metadata Registry (xmdr.org). 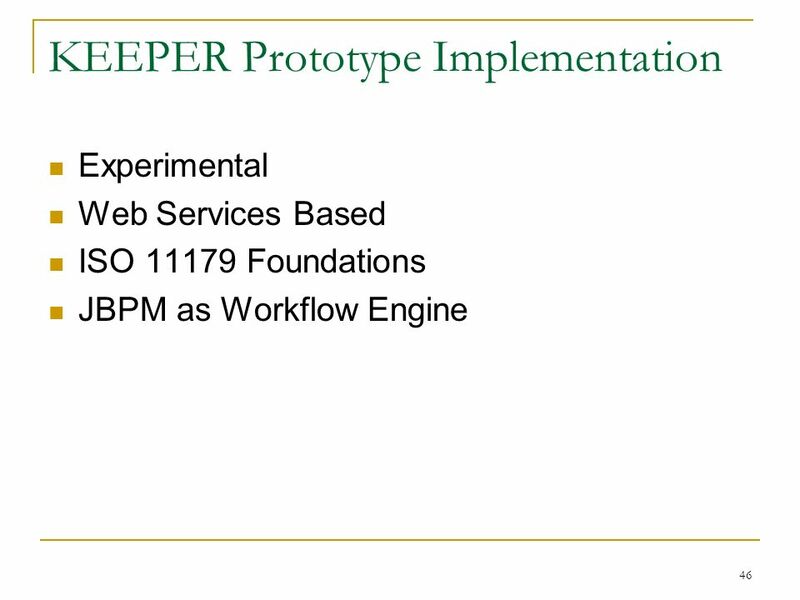 Interface ontologies: Internal APIs for core modules and plug-ins External APIs, especially web services Federation APIs, among OORs. 21 21 Challenges: Administration and Policy Gatekeeping policies and enforcement Should there be overall policies or left to individual repositories? Policy-making bodies How are they constituted? How can they interoperate? 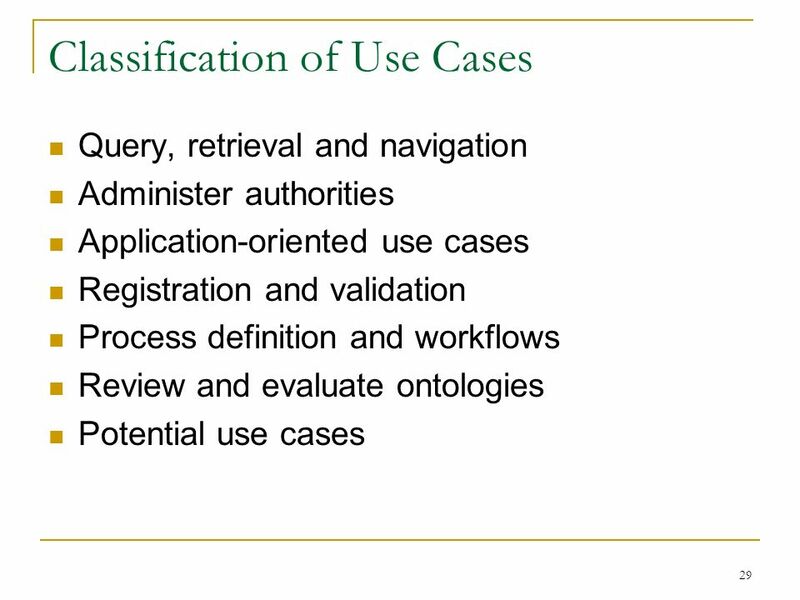 38 38 Application-Oriented Use Cases I Most use cases are focused on creating, querying and updating ontologies and mappings (CRUD). 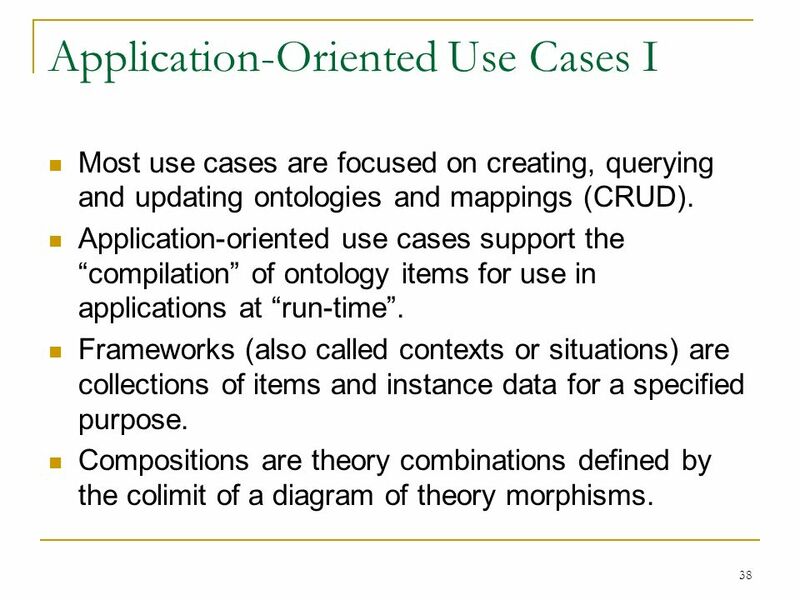 Application-oriented use cases support the compilation of ontology items for use in applications at run-time. 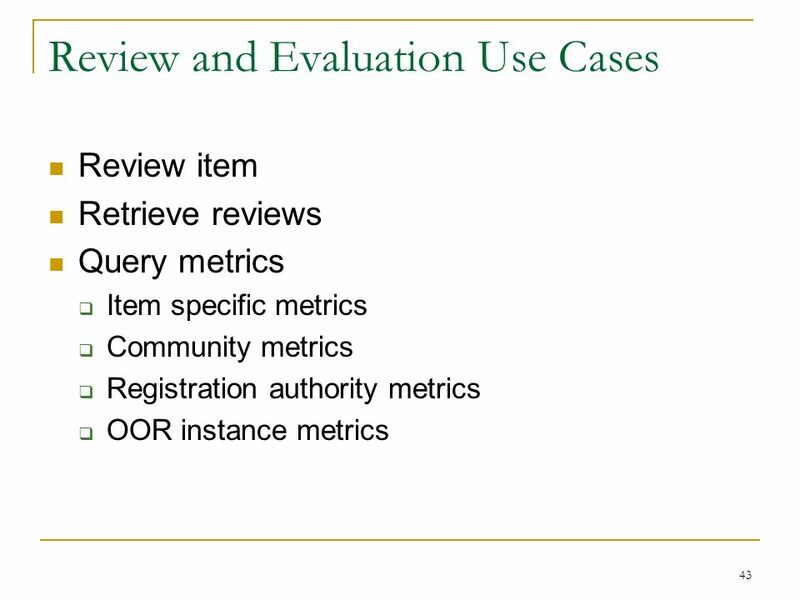 Frameworks (also called contexts or situations) are collections of items and instance data for a specified purpose. Compositions are theory combinations defined by the colimit of a diagram of theory morphisms. 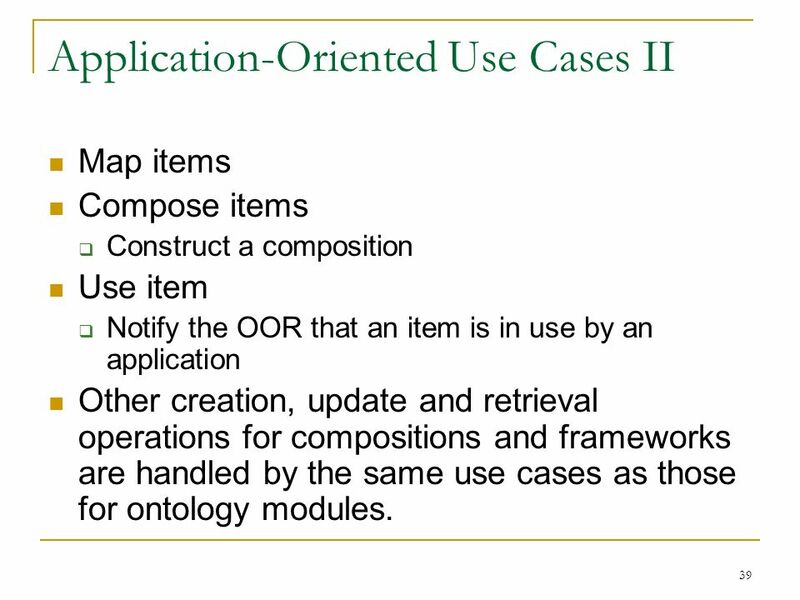 39 39 Application-Oriented Use Cases II Map items Compose items Construct a composition Use item Notify the OOR that an item is in use by an application Other creation, update and retrieval operations for compositions and frameworks are handled by the same use cases as those for ontology modules. 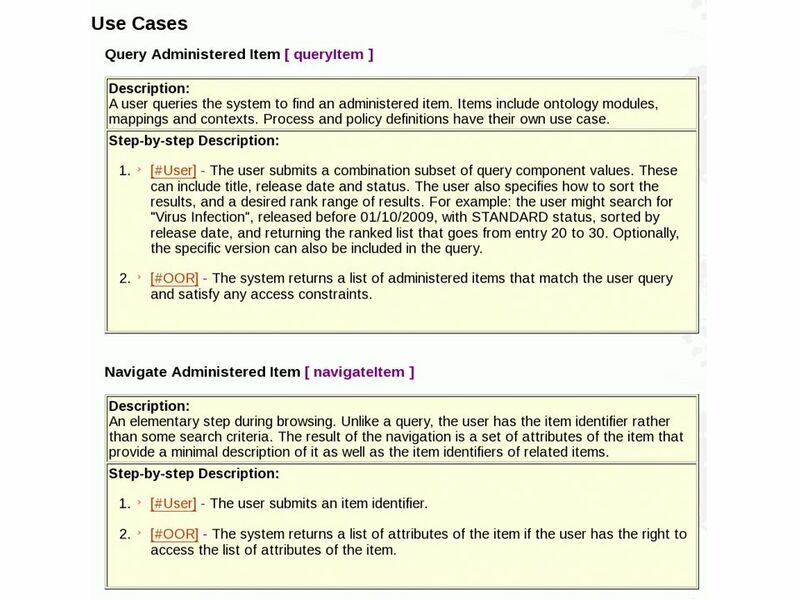 40 40 Registration and Validation Use Cases Register item Used for new items Update item Update the metadata for the item, not the item itself. 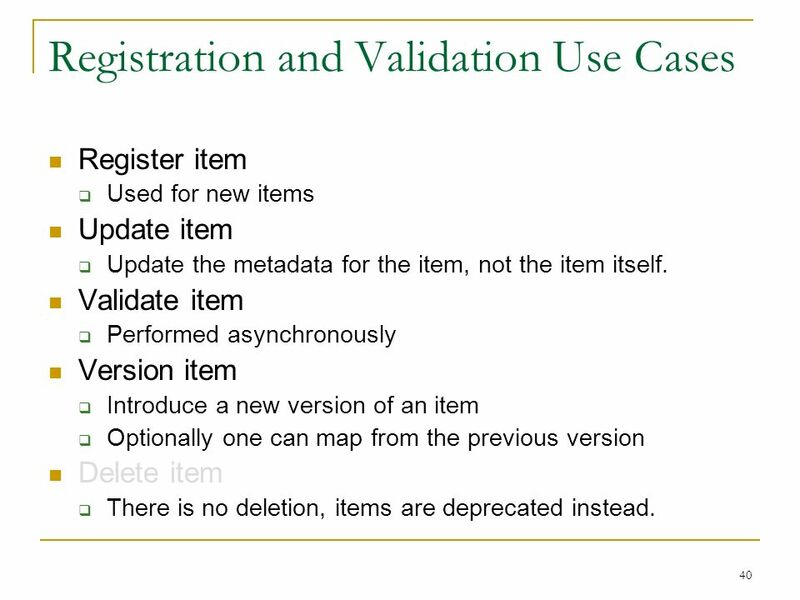 Validate item Performed asynchronously Version item Introduce a new version of an item Optionally one can map from the previous version Delete item There is no deletion, items are deprecated instead. 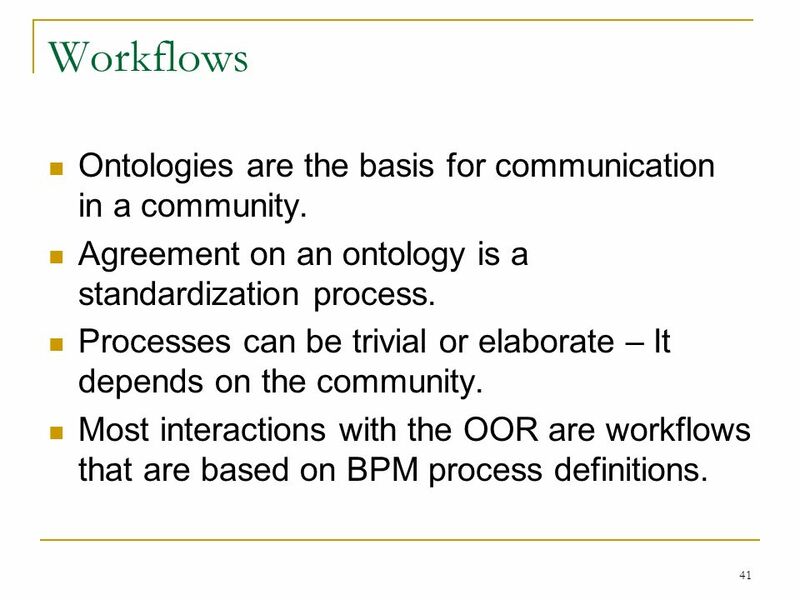 41 41 Workflows Ontologies are the basis for communication in a community. 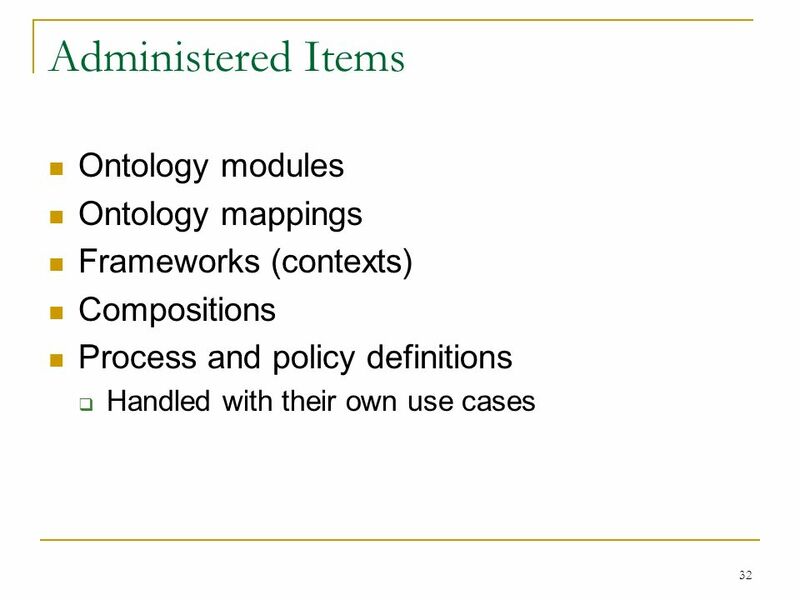 Agreement on an ontology is a standardization process. Processes can be trivial or elaborate – It depends on the community. 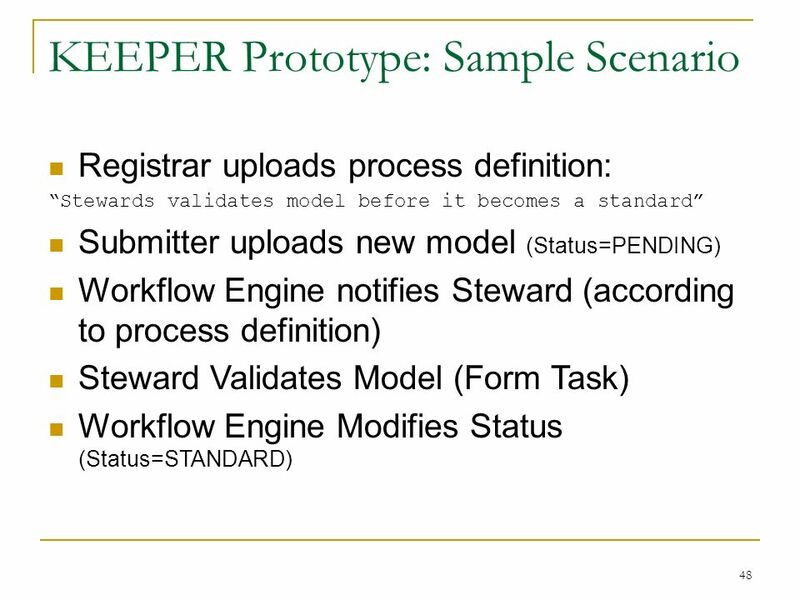 Most interactions with the OOR are workflows that are based on BPM process definitions. Download ppt "Open Ontology Repository Ken Baclawski College of Computer and Information Science Northeastern University." 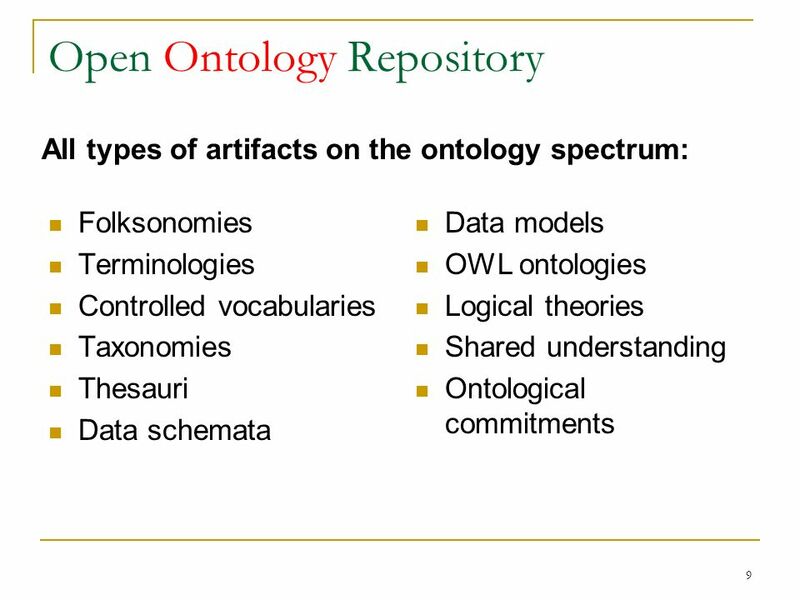 1 Ontolog Open Ontology Repository Review 19 February 2009. 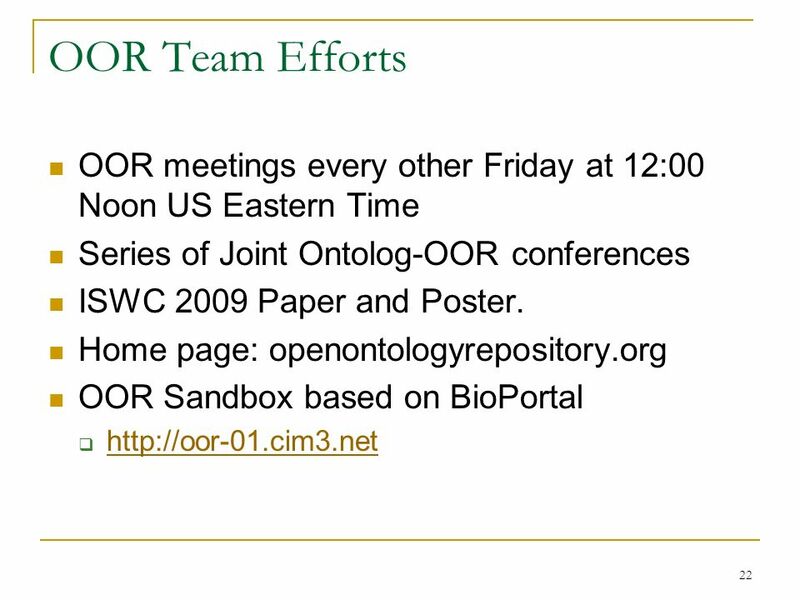 August 6, 2009 Joint Ontolog-OOR Panel 1 Ontology Repository Research Issues Joint Ontolog-OOR Panel Discussion Ken Baclawski August 6, 2009. EIS Bridge Tool and Staging Tables September 1, 2009 Instructor: Way Poteat Slide: 1.